They are a perfect reference guide while creating. You can quickly pick the colours and patterns you want to use. Lightweight and small enough to keep on your craft desk. Choose the papers you love and would like to order more of. 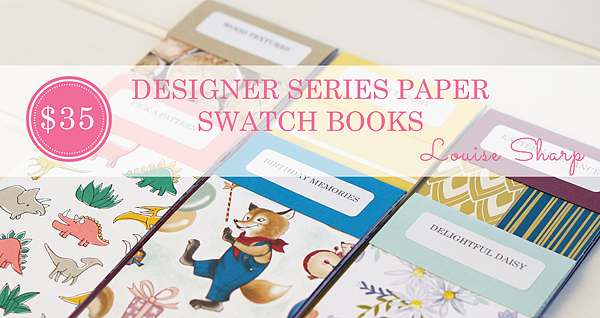 15 packs of Designer Series Paper are included in the swatches. Swatch books are 3"x6" with speciality pieces cut at 1.5"x6"
When you register for a Swatch Book I will send you a PayPal invoice to be paid before the closing date. I will place an order on the 22nd June 2017 and eagerly await to receive the order from Stampin' Up!. I will then cut and label all the books and mail them to you - how fun! You can expect to receive them by mid-July. 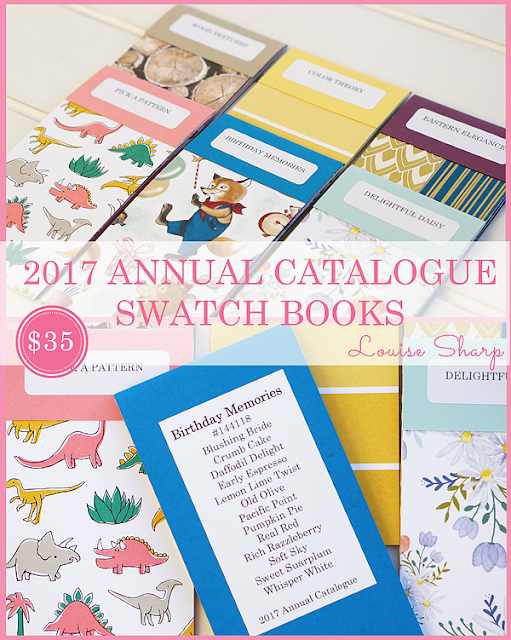 Deadline for the Swatch Books is 21st June, 2017. Invoices will be sent to you via PayPal after registering. Payments are to be received no later than the 21st June 2017.